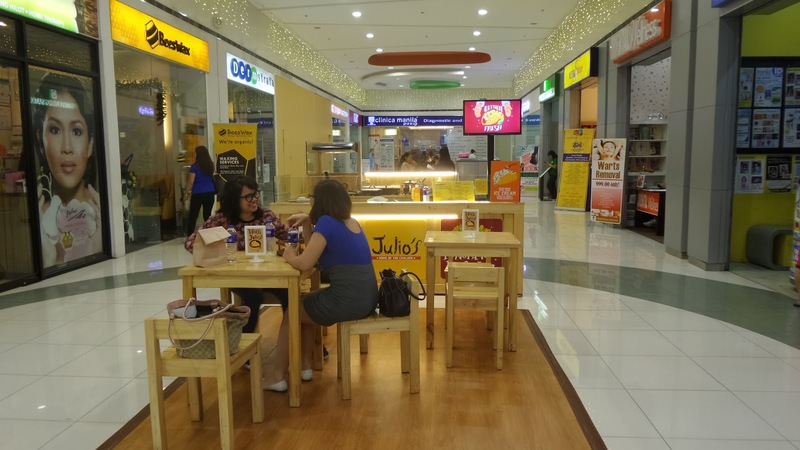 The incoming year, 2016 is said to be The Year of Again, bringing with it reruns of much awaited foodie events that either highlighted our very own Filipino cuisine or have introduced new tastes and flavors for the Filipino palate. 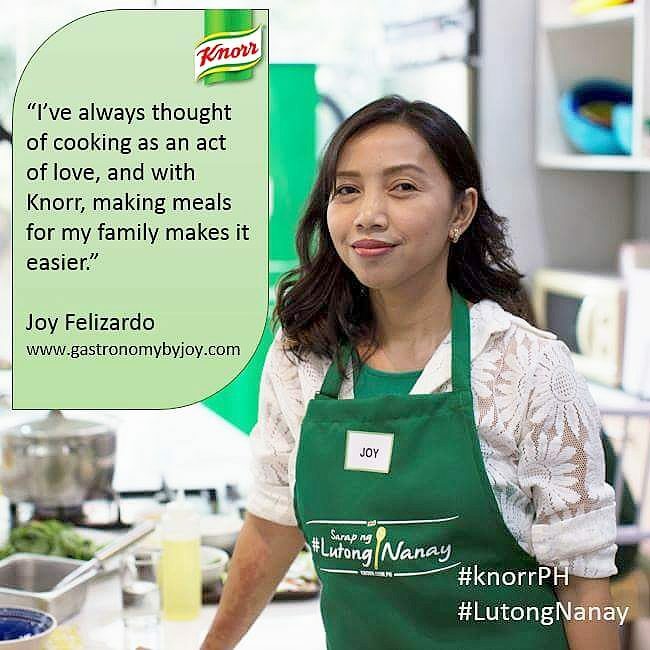 After being a witness to last year’s Madrid Fusion Manila, I knew, there will be a second helping. 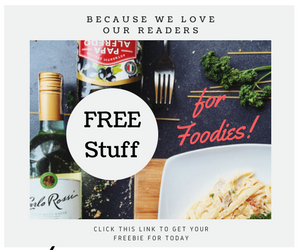 So to my fellow food-lovers who missed this year’s MFM, make sure not to miss it again. However, for those were able to savor and participate, let’s all be glad and gather together as we welcome back MFM. Madird Fusion Manila (MFM), the Philippines’ hosting of one of the world’s leading international gastronomy gatherings, will have its second run on 7-9 April 2016 at the SMX Convention Center in Pasay City. MFM is he first and only Asian edition of Madrid Fusion, which is celebrated annually in Spain since 2003. It has brought together in one roof elite chefs and experts from the culinary fied to discuss trends, evolution of tastes and new food habits. More than 400 leading chefs from the five continents have partaken as presenters and have performed live culinary demonstrations and out of the box presentations on revolutionary techniques. (public export promotion agency belonging to the Ministry of Economy and Competitiveness of the Kingdom of Spain). These chefs are distinguished restaurant owners, and have garnered either Michelin Star awards or with restaurants included in world's best restaurants. To each chef's profile kindly click here. MFM 2016 will once again have three simultaneous events: the International Gastronomy Congress, Trade Exhibit and Flavors of the Philippines. 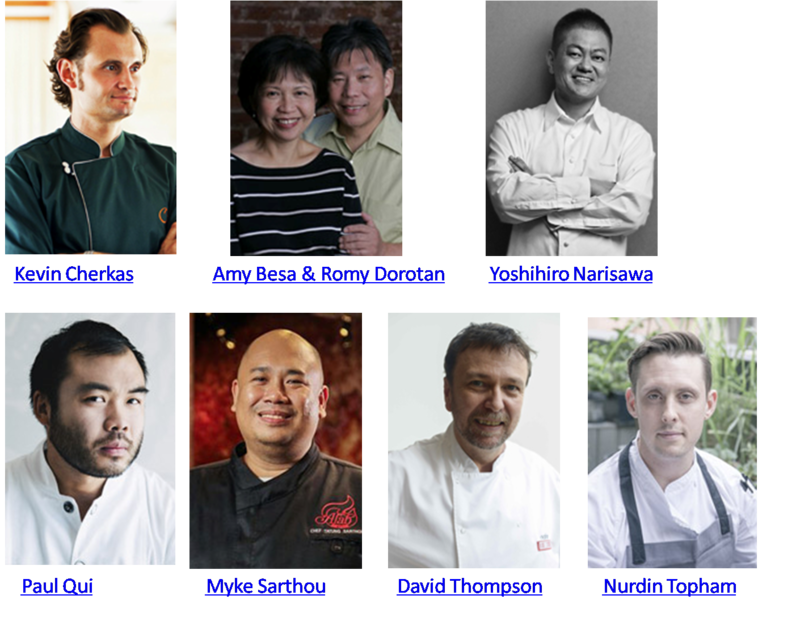 The speakers introduced above and other distinguished Asian and Filipino chefs will demonstrate modern and avante-garde techniques at the congress. 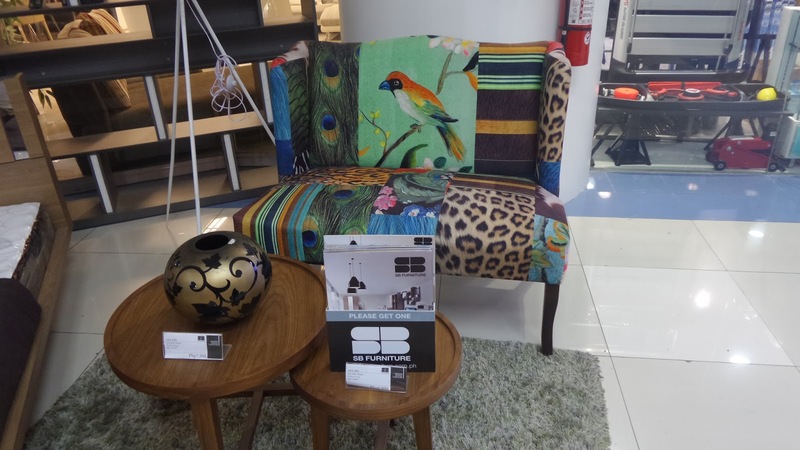 In 2015, MFM hada total of 22 countries and 88 exhibiting companies participating in 175 exhibit booths. A huge number of 6000 trade visitors and 1381 Congress participants were able to record this year's MFM. 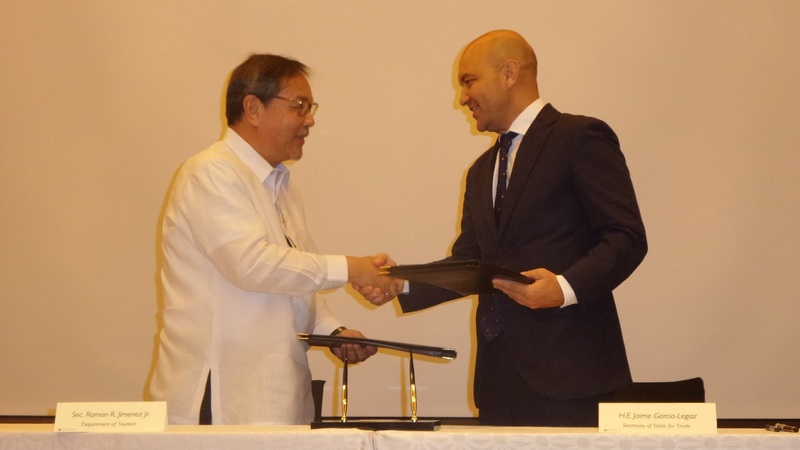 With the long and credible relationship between Spain and Philippines, and not withholding the fact that many dishes have found its roots from Spain, MFM was able to establish a culinary education between both races with lots of fun included. On the second MFM, the organizers aim to gather a larger crowd of foreign culinary experts and delegates. Tourism Secretary for DOT, Ramon Jimenez Jr, envisioned the Philippines to be the center of culinary excellence in the region as MFM stands as one of the highlight of the celebration of Visit the Philippines Again (VPA) 2016. 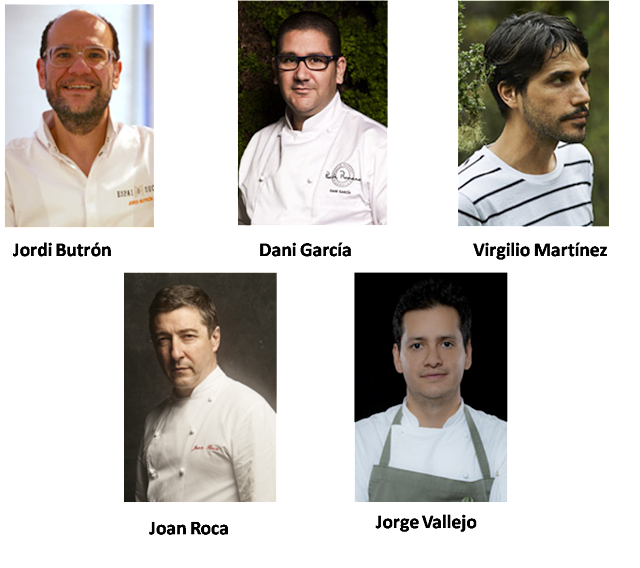 For information on International Gastronomy Congress, e-mail congress@madridfusionmanila.com, call 893-7973 or visit www.madridfusionmanila.com. 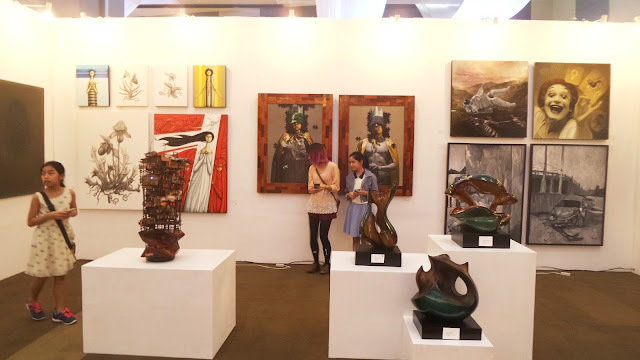 For information on the Trade exhibit, call 929-7993,929-7963 or exhibits@madridfusionmanila.com. For information on the Flavors of the Philippines Festival, email flavorsofthephilippines1@gmail.com. 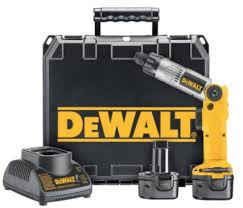 or call 832-5401. It's always fascinating to learn about new products especially if it's about a baking ingredient. There are thousands upon thousands of products being introduced but you never know which works suitably for your baking products. I'm saying this in behalf of my cohort bakers. 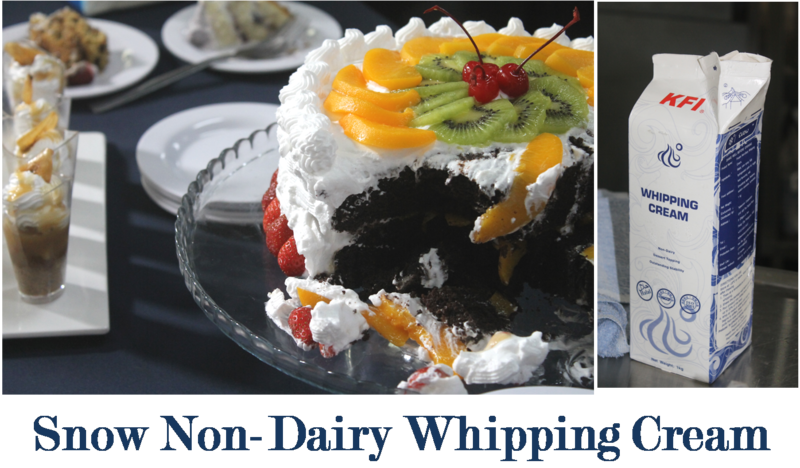 Thus, when I got to be introduced to TBMN's Snow Non-Dairy Whipping Cream, I became stirred and I can't wait how it differs from the usual products I'm accustomed to. Snow is now listed under a roster of leading brands in this industry and has continuously top the Philippines Market. It has been gradually rising in the field of usage, demand and classification in today’s local pastry and dessert industry. I guess that explains why there are more stocks of Snow at Chocolate Lovers when I last visited one of their branch. Sacrifice, what does it mean to you? It may mean differently to everyone, but for moms, giving up regular sleep, beauty regiments, going out with friends to attend to the needs of the family are just forms of sacrifices. Many successful people saw sacrifice as the key to their successes. So, why not teach it to my kids, firsthand, before they even gain the understanding after a failure or a hurt? As parents we can instill many things to our kids as they are growing up. Wouldn't you want your kids thanking you in the future after earning their first million or after getting their college diploma? I definitely would, my kids mean the world to me and I want them to be successful in all they endeavor with. Since definitions are the bedrock of clear thinking, let me start by proposing a definition of sacrifice. Sacrifice is simply giving up something or giving something, but for the sake of a more valuable cause. To teach this to my kids I had brought them with us to see the hidden waterfalls in Luisiana, Laguna. Well, ok, this was incidental, I know this could be quite risky for my daughters, aged 10, 11 and 17 years old, but I never realized that we will all learn in the process, the hard and tiring way...but it was all worth it. First of the many sacrifices we had to endure was leaving our dogs behind while we're off seeking adventure. Next to that is having to drive from 7 in the morning (fleeing away from Manila traffic coz of #APECtado) up to 12 in the afternoon, from Pasay to Luisiana, Laguna. Luisiana is the municipality next to Pagsanjan and Cavinti. It sits atop the Sierra Madre mountain and the drive is slightly likened to the way to Baguio. An uphill drive after a quick stopover at the beautiful municipality of Pagsanjan will take you to Cavinti. 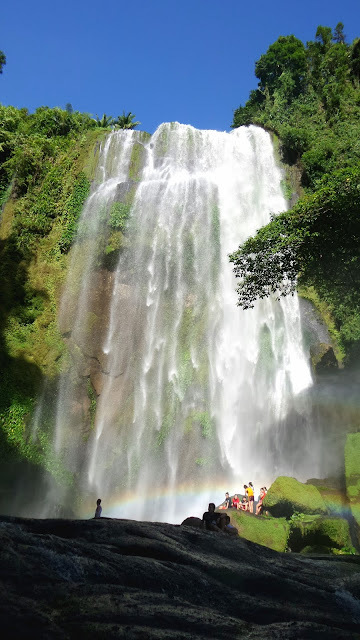 You don't need to go to the town proper of Luisiana, the road along Cavinti will reveal a poster which leads to the jump off of the Hulugan Falls, We almost drove passed by it, you won't miss the big poster if your sight is on the right side of the road. We then took a right turn at the bend and stopped by a group of people and we asked about the Hulugan falls. A lady told us that we need to be accompanied by a local tour guide, and that we need to stop and park at the Barangay Captain's residence for registration and briefing. The tour guide was already waiting on that shed and we were asked if it is ok for the tour guide to ride with us to the last stop. After receiving our tour guide, Mang Tonying Sarmento, we asked about how long have they been receiving tourists in their area. According to Mang Tonying, Hulugan Falls has just been reveled to the public just about two months ago. Though the people who lives nearby new about it for a long time, they don't really let others know about it. For one, the trek down isn't developed yet so it's dangerous and a bit long. Another thing is that they don't want it to be destroyed by the visitors. Reaching the house of the current Barangay Captain, we parked in front and had lunch at their waiting shed and garden. The lady was also accommodating and upon seeing my two girls, she felt slightly worried and asked if Mang Tonying would be able to carry one of them. It maybe some sort of joke or something, but I assured the lady taking care of the registration that my girls could handle the trek and we will take care of them. Registration is first and foremost important, and you only need to pay P10 each. The minimum fee for the tour guide is P 100, though you can pay them more as you will realize that they'd be a huge help, we payed our guide P500. They have a store there where you can buy resfreshment and some things you might need after the trek. We took a quick lunch and fixed the things we will need to bring. Let me advise you to bring less, if you need to bring something, just bring a towel, bottled water and put it in a backpack so that you have free hands to balance and grab on to some branches and twigs as you scale the hillside. Make sure that your cell phones and cameras have waterproof casing or bags to hid it in. Just a couple of steps before going down the slope, you will see and meet friendly locals selling some stuff nearby. So you don't really need to bring any snacks on the waterfalls. Picnic must be a no-no to prevent pilfering the place. However, we brought a couple of chocolate bars for the girls, who might need to boost their energy and for my diabetic daughter. Since it rained the night before our trip, we expected for the path to be muddy. So, if you're antsy about muds and soil, this isn't for you. My girls are, but I told them they don't have a choice, it's how it is living in this kind of condition. 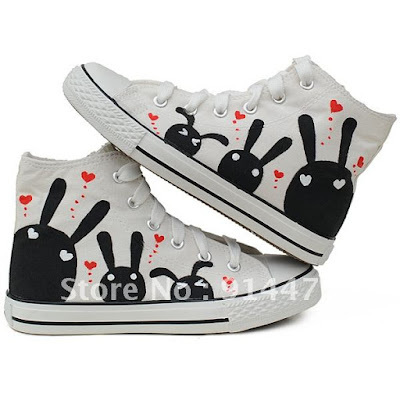 Also, don't wear your favorite or most expensive rubber shoes or you might die having it buried in the mud. But make sure you wear your most comfortable, outdoor shoes that is held up with strings. My girls kept on saying sorry about having their soles all muddy, for they knew it's going to be hard to clean them up. I just kept on reassuring them that it was fine and the muddy trek will all be worth it. We were told that the trek is around 45 minute to an hour. Along the path, you will also come across locals riding on a horse or carabao. My kids were so anxious to know more about life here in the hills. After 30 minutes of walking up and down hillsides, we reached this low-lying river. We were told that we are already near so, it stopped for a bit to clean our feet and shoes, so far my kids don't have scratches yet and no one slid on the mud. Above is my daughter Danielle with her special friend, Kim. My husband (the one wearing a hat) supporting our kids as they cross the river. Mang Tonying was so helpful, as he was the one always holding on to our girls as we took care of ourselves. Another 30 minutes of walking, climbing, sliding down on muddy grounds, holding on to dear life as you prevent getting mud all over and this beheld us. Approximately 200 meters away from the waterfalls, you can already see it's majestic beauty. Even way beyond that point of sight, you can hear it's powerful yet majestic gush. As my kids and the group that was before us, scrambled their way to experience the falls, we got held up by it's beauty and we just had to take a shot from a far. My girls and Kim, were ahead of us about 200 m, as they were so excited to be in the water. Can you notice how the others and my kids were having a hard time crossing huge boulders? At this day tour, my two girls are the only kids who did the trek. I would not recommend bringing kids that needed to be carried, however, if the trek isn't that muddy, I guess it would be ok. Probably, summer is the best time to bring your kids. The path to the waterfalls isn't easy, it was hard for me and my husband so the challenge was really something to my kids. I'm just glad they were up to it. I'm proud to say that I didn't hear any complains throughout the trek. 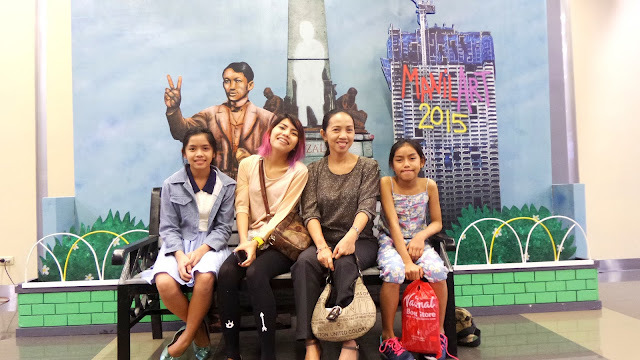 We were also thankful of Mang Tonying, our tour guide for taking care of us. 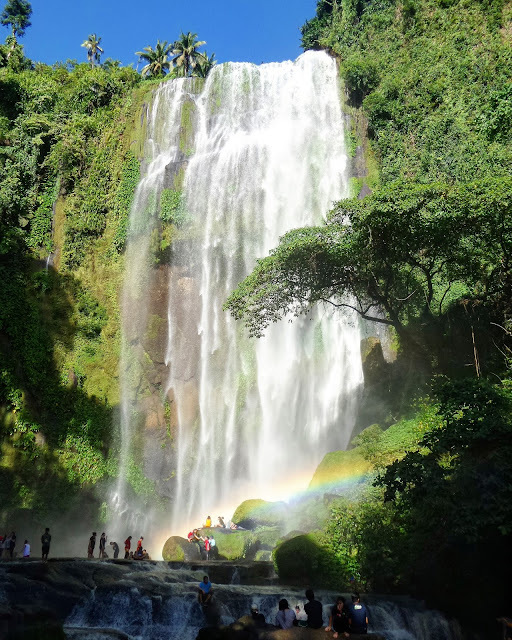 When they finally reached Hulugan Falls, they all chorused, "it is so beautiful, all the walk, going up and down, plunging in the mud, sliding, it's all worth it." After the refreshing dip and marveling at the view of both the falls and the surrounding, we headed up again and the trek up was even more challenging as you need to leap from huge muddy steps. We took a different route, which is said to be shorter but harder. The tour guide was a bit hesitant to have us in that path, but he made sure we will all be safe. After reaching the top ground, it was a relief, but we needed to do at least a 20 minute walk to where we were parked. It was when I asked my girls about how the tour was. My Dana, who is a juvenile Diabetic, thanked me, but she said "Mommy, this day was full of sacrifices!" She then went on and said "I sacrificed a lot to be in this place, like I sacrificed Aldub's #kalye serye, playing my game, reading my current novel and lounging in my bed for this." And of course the trek itself was a big sacrifice in itself as getting there may mean risks and danger, body pains, and some other misfortune. Although, I didn't think it that way, for I know this experience will bring a fresh inspiration, a fresh perspective to what life in the rural areas is, a fresh insight to what could be the outcome of a certain decision. After all, I did ask them if they want to go to the beach or see a spectacular waterfalls, and they all agreed on the latter. So, did you think I succeeded in my goal of educating them about sacrifice? Let me end with this short video. Instead of asking first and foremost about what a chalupa is, I asked about Julio. "Who's Julio?" I asked without hesitation and I got a demi-smile from one of Julio's Chalupa owner. After glancing at the logo of Julio's, Ika proudly said,"Well Julio is a cat..." He is a play on one of the young owner's creativity, a representation with quite a catch. I was a bit skeptical about the allegory, duh! 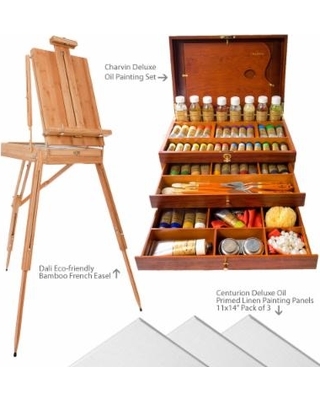 I guess I'm not that artistic enough to figure out, somehow. And to make it way interesting, I was introduced to my very first chalupa. She might be saying at the back of her mind, " how long have you been living under the rock?" 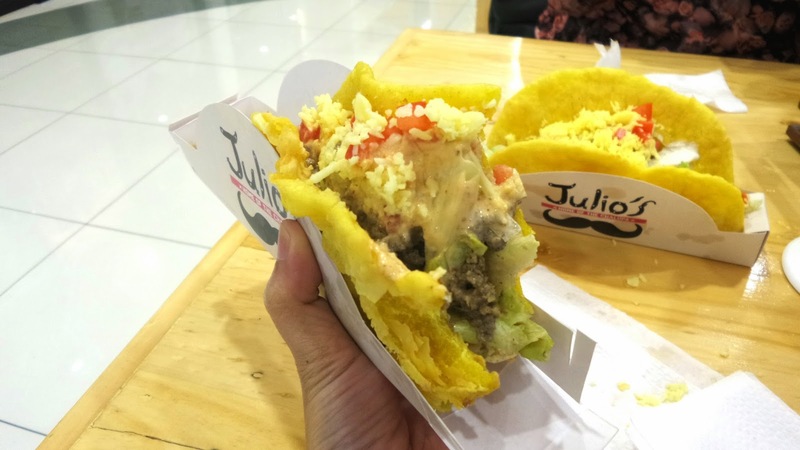 Julio's Chalupa is located inside SM Center, Pasig and tucked at the less crowded alley. I find their location very suitable as you can grab a chalupa while you wait for your watch to be repaired or have some after having your nails done or after a haircut. It's a take out stall with a few tables and chairs right smack at the middle of the alley. There's no denying that being healthy can also be fun for the family. Bounce your way to an applelicious day as you enjoy the health-giving goodness of Mott's 100 % Original Apple Juice. To make things much better, how about try your luck and win a 1 year supply of Mott's Apple Juice delivered right at your doorstep. 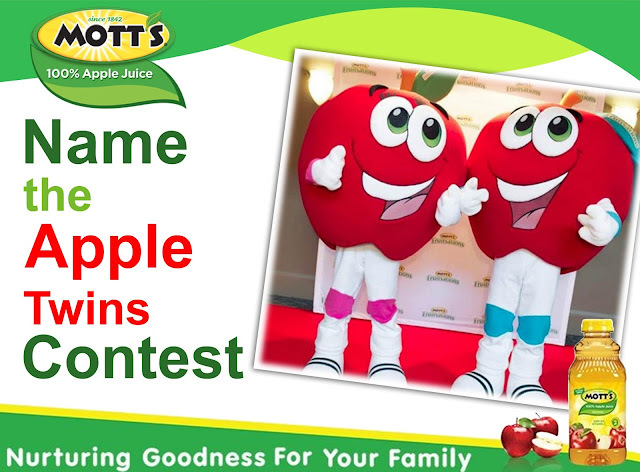 To join the contest all you need to do is to name the Apple Twins character of Mott's Apple juice. Kindly check the contest details below. 2. Tell us your suggested names in a creative way and post it on Facebook, Twitter, or Instagram. It can be through a photo, video, poem, artwork, etc. 4. If you're suggested names are chosen, you will get to enjoy one year supply of Mott's 100% Apple Juice for your family! Christmas came early at the premier lifestyle destination, ResortsWorld Manila as they welcome the yuletide season with all smiles. 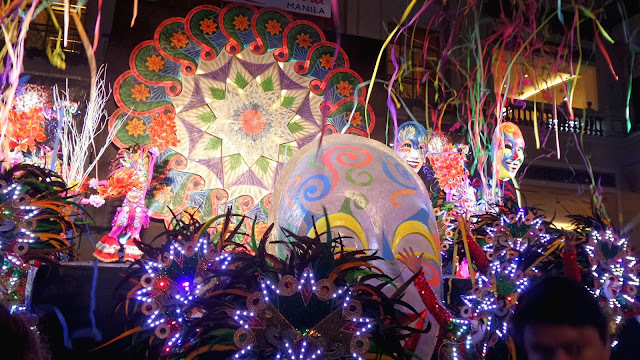 Running on its 6th year, Grand Fiesta Manila indulges everyone with a Christmas celebration inspired from MassKara Festival of Bacolod. 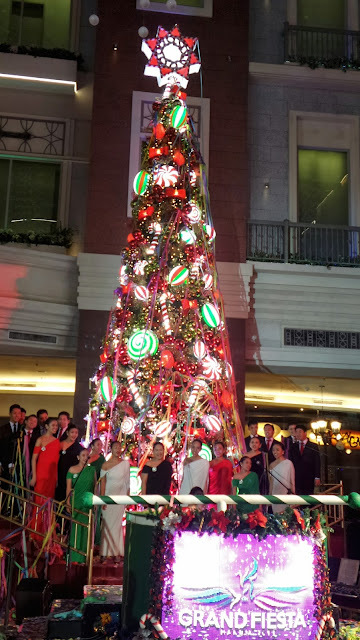 With the theme "The Many Faces of Holiday Thrill," part of Bacolod's renowned tradition was brought to the mall as the celebration kicked off last Nov. 12 with the grand lighting of the Christmas tree while being serenaded by University of the Philippines Singing Ambassadors. I'm so stoked right now as I'm sharing this to you, though a bit in a haze and rushing to fix myself for an event later while finishing the dishes in the sink. After finding a jar of this spice that I've been trying to find for years now, I was able to find one at SM Hypermarket in SM Aura. I never really imagined how I will adore cardamom to bits. I bought it in pods which was even brilliant. When you open the lid, it will entice your senses right away and invigorate your being with its minty, woody aroma. It's mainly a staple spice in Indian cuisine and have proven to be helpful in ayurvedic treatments. To be honest, I've yet to search of its health benefits which I'm sure to be loads of. With my love for this spice and Indian cuisine, I'm sharing with you an easy dish, a masala-based meat dish which is said to be good with curried vegetables and Indian breads. But of course, you can have it with steamed rice, which we enjoyed tremendously with. This version of masala was lifted from rasamalaysia.com but I replaced the boneless chicken with chicken wings. A masala is a tomato-onion spice base, to which he cardamom pods (opened) were added. Cardamom is also good in curry dishes and blends perfectly with spices such as cinnamon, turmeric and cumin. 1.. Pour the oil into a large skillet and place over medium heat. When the oil is heated, add the garlic, ginger and onion. Sauté until the onion is golden brown, stirring frequently, about 7 minutes. 2. Add the cumin seeds. 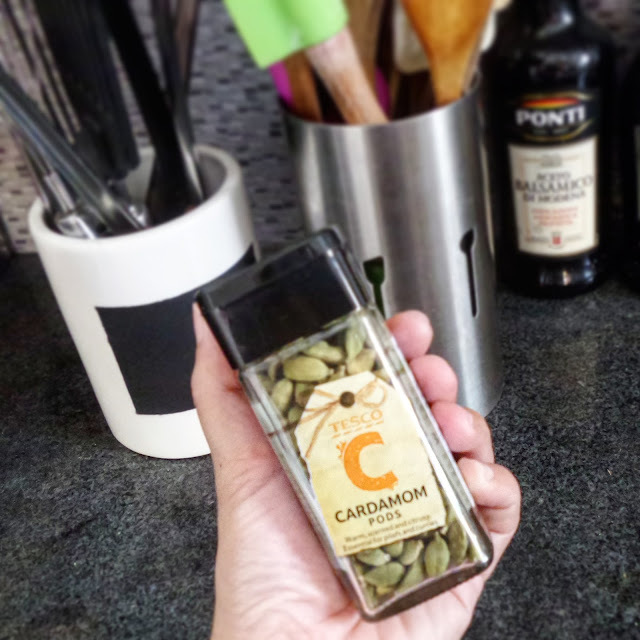 Open the cardamoms and add the seeds and the pods. Stir to combine. Reduce the heat to medium-low. Add the tomato and cover the skillet. Cook until the tomato becomes completely soft and mashed and is combined with the onion to form a coarse paste, stirring every minute or so and lightly mashing the tomato, about 5 minutes. 3. Add the turmeric, red pepper, salt and black pepper. Stir to combine. Cook uncovered for 7 minutes, stirring frequently. This is the masala (spice base). 4. Add the chicken. Stir to combine and increase the heat to medium. Cook uncovered until there are no signs of pink when you insert a knife though the chicken, stirring occasionally, about 25 minutes. Preparing desserts that are easy to make, while remaining tasty, can be quite a challenge, especially for those who are inexperienced. However, there are some friendly recipes that will let you do just that! 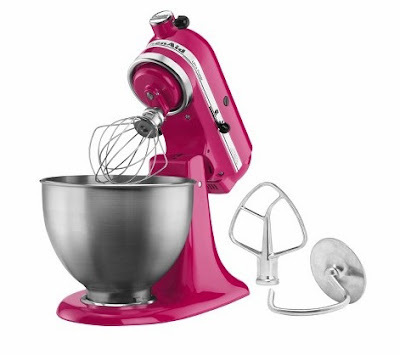 To become the master of desserts you can look for the best cooking books at Abebooks, which are available with deep discounts whenever you use a coupon from Discountrue, and for now you can just check some of our ideas. 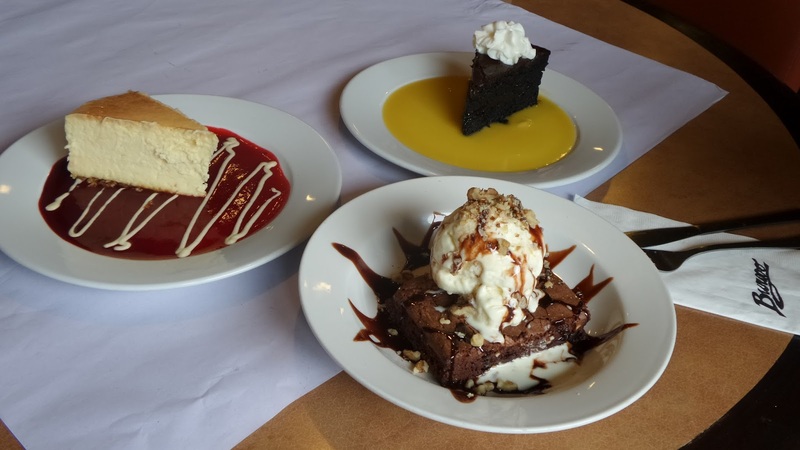 Read on to learn more about the easiest, most delicious desserts that allow you to get the most bang for your buck and save time! These are best made using pineapples and despite the fact that they seem very complicated, these sundaes can be created with a variety of ingredients that most households have on hand. For starters, simply warm the pineapple in brown sugar and butter. Once the fruit has been softened, spoon it over some pound cake that has already been crumbled. The piece de resistance? Dulce de leche ice cream, a delicious treat that is universally beloved and for good reason! Never heard of this dessert? It is time to get familiar with this easy to make confectionery concoction. All you need to create this exotic dessert option is a pound cake, bananas and some canned whipped cream. This allows you to put together this dish in no time flat. Before you place the topping on the dessert, bake it on top of the oven first. 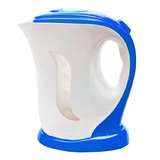 This makes for a simpler preparation process and you do not have to tend to it while cooking. The secret to this quick, tasty dessert? Store bought pie crusts. Creating these easy spiced pastries is a snap. Take some melted butter, brush the crusts, sprinkle on your preferred spices and don't forget the brown sugar! Cut the pie crust into squares and stick them in the oven for a few minutes and you have a dessert that is sure to be a smash hit, with very little effort expended. Do you love cheesecake, but hate the long preparation times? 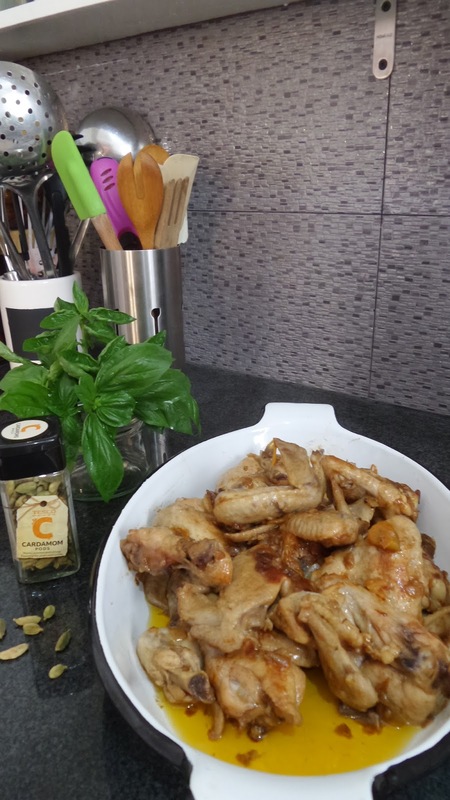 While this recipe is quick, there is no sacrifice made from the deliciousness standpoint. To create strawberry cheesecake rapidly, purchase some Brie cheese. Blend the Brie with some cream cheese and provide a layer of strawberries and sliced almonds. Serve in glasses, instead of plates, for maximum enjoyment of this quick cheesecake dessert. Looking for a dessert that incorporates apples and can be prepared on the grill? Look no further than these easy ginger apple sundaes. If you reside in a cooler climate, then these sundaes can also be concocted over the stove. Apples, ground ginger, butter, brown sugar, apple juice, cornstarch, and vanilla or cinnamon ice cream are all you need. 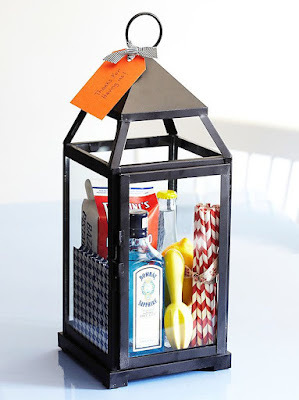 When entertaining, the ice cream can be scooped into plastic cups to enhance the presentation. The benefits of breakfast are just too good to pass up! Don't you know that having it everyday helps you perform and concentrate better throughout the day; you could boost your grades just by eating breakfast (if you're a student that is) or think happy and healthy thoughts throughout the day. Even experts would suggest it after having found out that you will actually eat less during the day when you start your it this way, helping you to better maintain your weight. In addition, eating breakfast can speed up your metabolism, while skipping it encourages it to slow down. Why not help yourself by eating breakfast regularly? Some may squirm and say, they are too busy in the morning preparing for school or work, to have one everyday. Of course, I would suggest to wake up even earlier for this, however, if it would be really daunting then I suggest to get one near school or work, before starting your tankful day. I have a good news to everyone living or working near Tomas Morato. 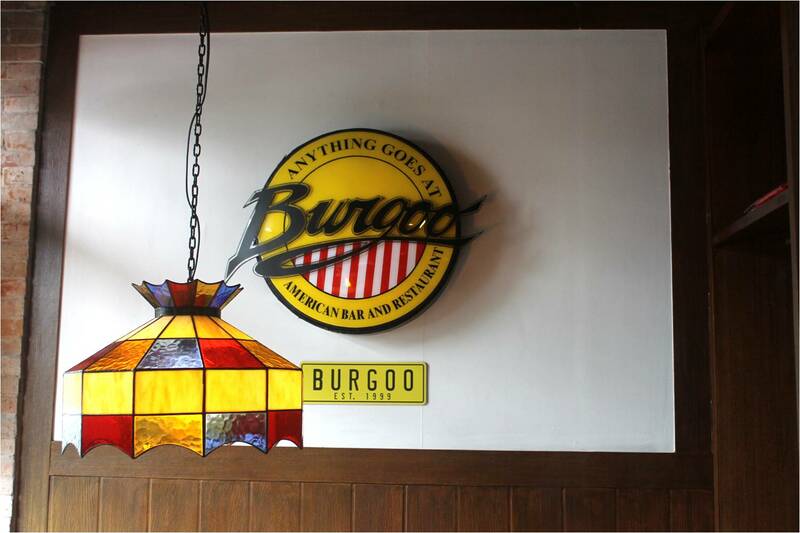 Our favorite all-American comfort dining place, Burgoo, is now offering power sets of a meal for breakfast. They've recently launched their all-day big breakfast plates. You can choose from Filipino favorites to Continental breakfast dishes at an affordable budget starting at P 145 to P 295. Restaurant doors open at 9 am and every plate comes with a free drink which definitely complements your heavy plate, such as coffee, juice or iced tea. If your beverage don't seem to be enough, you can add P 45 to have unlimited servings. You will definitely feel the love here with a list of Filipino regulars made even better. 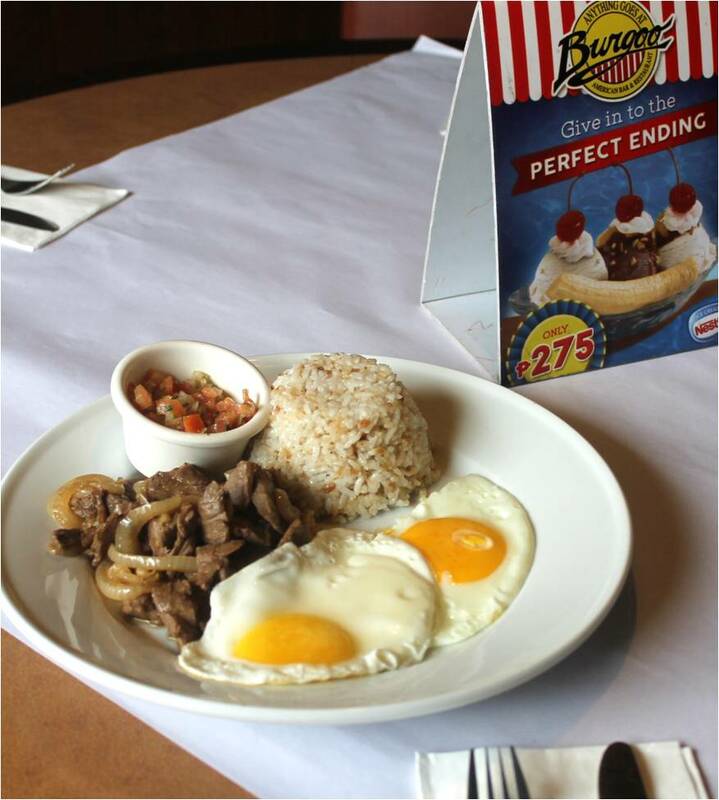 Select from USDA Marinated Steak, Honeyed Chicken, Pork Sausage, Milkfish in Vinegar and Garlic, USDA Beef Steak with lemon and onions. 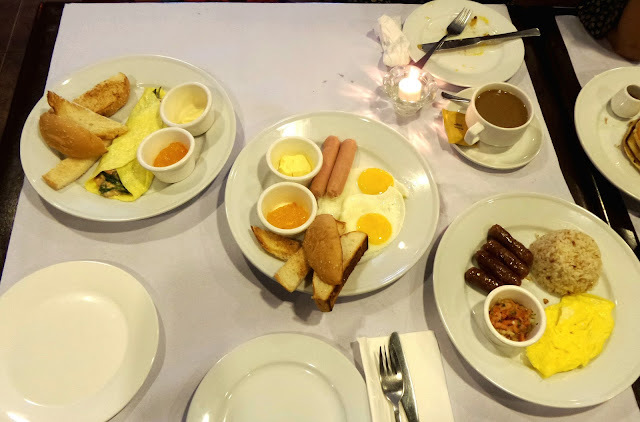 Of course, these are served with garlic fried rice, but wait, there's more, each plate comes with an egg, and you can either have it scrambled or sunny side up and salsa. I have to mention, the salsa is such a perfect condiment, giving that extra kick to your meat. It's made of fresh tomatoes, onions and cilantro. 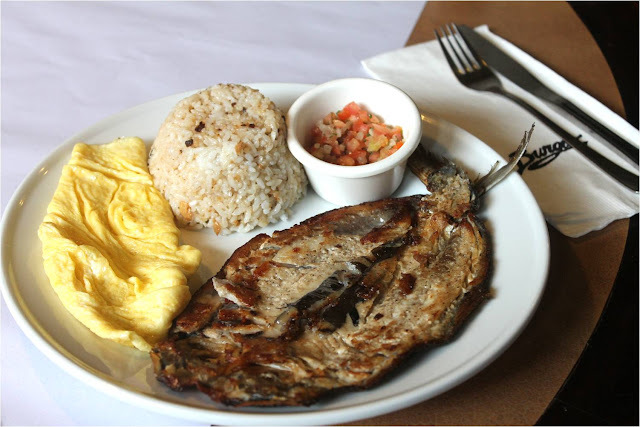 Always a favorite is this boneless Milkfish marinated in Burgoo's own kitchen with vinegar and garlic. Locally sourced Bangus (as it's known) is way bigger compared to the ones we were accustomed to and I must say I love how well it was seasoned. Milkfish in vinegar and garlic is only P 175. 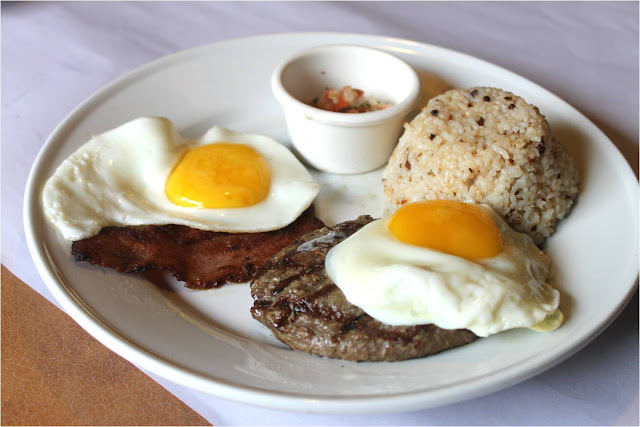 My personal fave among the list is the Breakfast Combo (P 275)-a plate consisting of bacon slices and Burgoo Burger patty served with eggs cooked the way you like it. The burger is actually a blend of chicken, pork and beef. Grilled to well-done but still juicy and tender on the bite, it was truly a surprise and kind of a treat to be included in the list as it worked pretty well with rice without any gravy at all. Craving for Tocino? 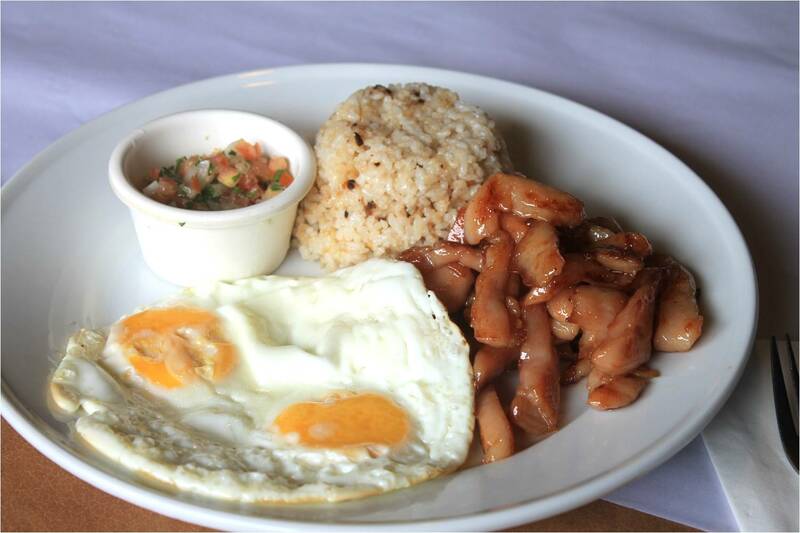 What about something better, and what could be better than pork tocino? Well, how's Honeyed Chicken sounds? I hope I can really tell you how big the size of their servings are. When this plate arrived at our table, I was really surprised, like with the other plate as well. 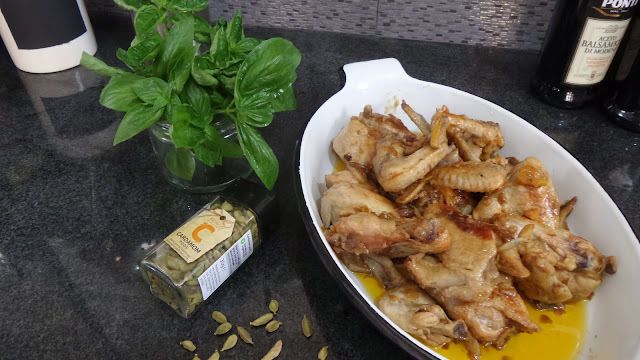 Two people can actually chew on the huge serving of the sweetened chicken pieces for only P 195. If you opt out having rice for breakfast, how's about some toasted sesame bread to go with bacon, ham, breakfast sausage, spam and omelette. Each plate under the Continental list still comes with your kind of eggs and a butter-marmalade combi. 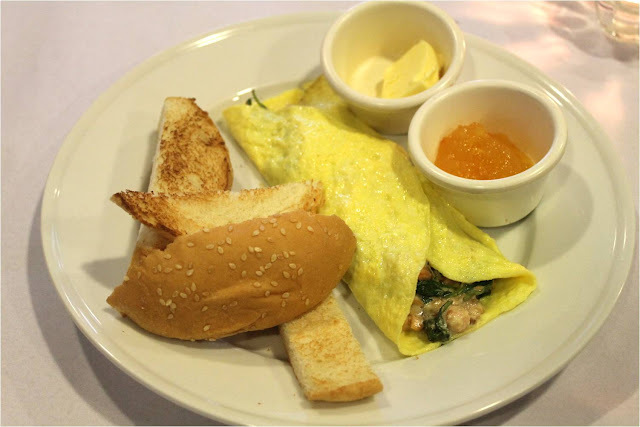 For the Omelette, there are three different ways to enjoy it-Vegetarian, Salmon and Spinach, or Ham and Cheese for only P 175. 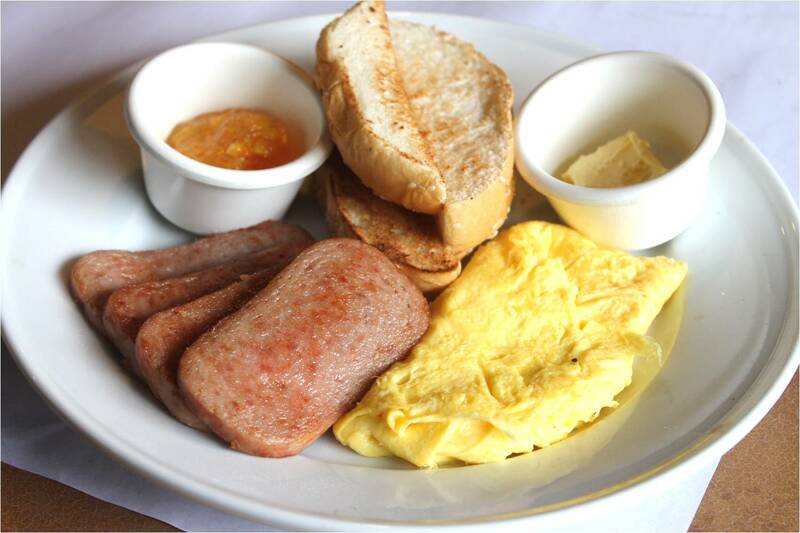 Burgoo Restaurant just nailed this breakfast deal with these four slices of fried Spam and scrambled eggs (P 175). Oh my kids my just even have this for lunch and dinner. "There's so fluffy, I'm gonna die!" That's probably how my daughters would react upon seeing these gorgeous pancakes. 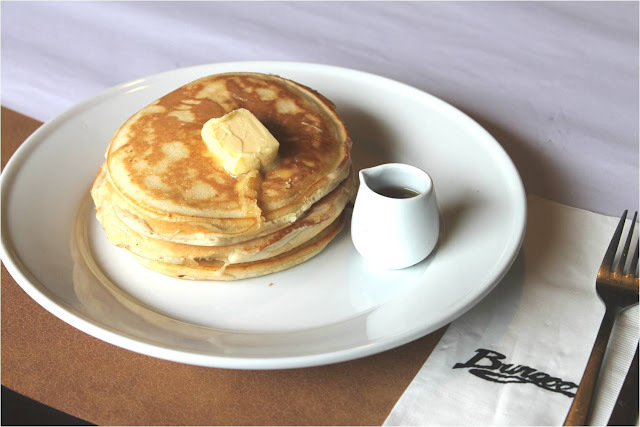 A plate is served with butter and syrup for only P 145. If you want to upgrade your plate with some add ons, you can choose from bacon, chocolate chips, or butterscotch and banana. 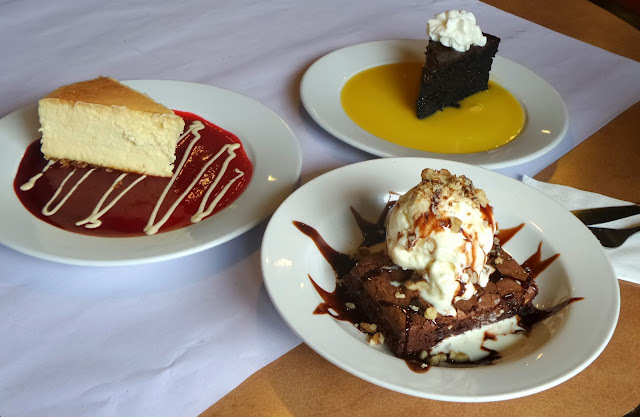 Along with a good meal, either from their newly designed breakfast menu or their classic mainstays and bestsellers are sweet-endings of slices Chocolate Cake, Cheesecake and Brownie a la Mode. Perhap's you don't mind having these too for breakfast...I wouldn't! Wouldn't you want to break that fast (from sleeping through the night of 8 hours without food) here at Burgoo Restaurant, Tomas Morato branch? For now, breakfast is available only at the aforementioned branch, if you're looking forward to have the nearest branch open up a breakfast menu, do follow them at their Facebook page for updates. Century Park Hotel unveils its newly-renovated Atrium Lounge and pre-yuletide offerings to share with everyone. 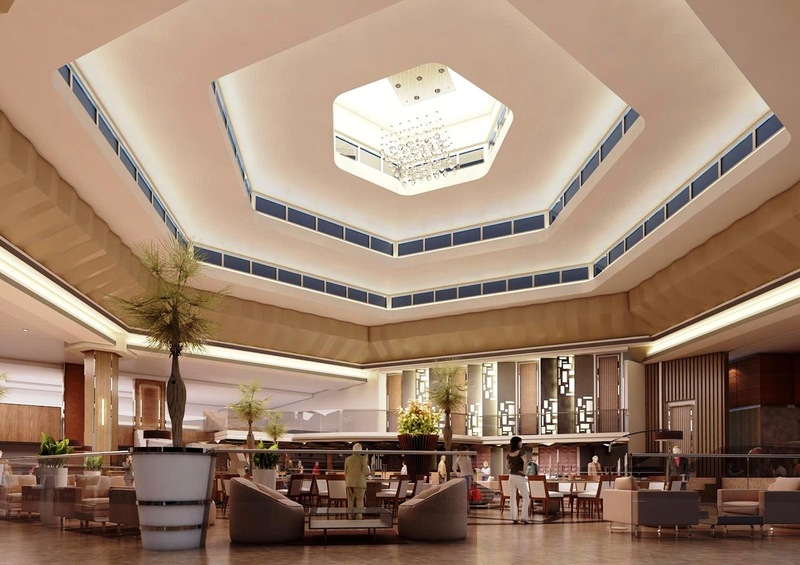 Take an exciting and exhilarating dining experience at their newly-renovated Atrium Lounge as it comes alive with the grandeur of space and luxury, that is, 1500 square meters, impeccably designed to create the most inviting welcome. 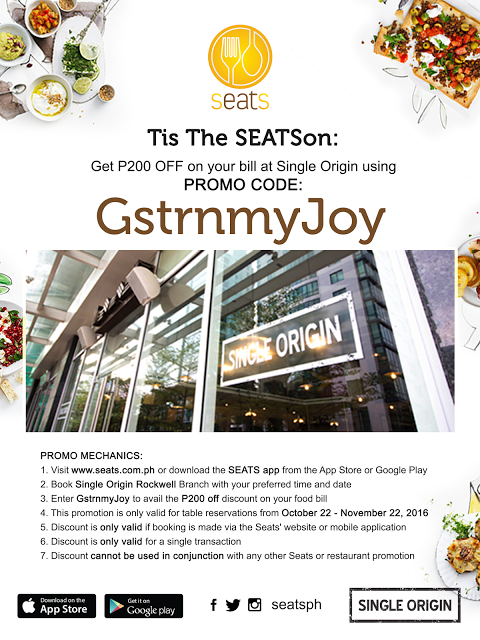 Grab a big 50% discount on your food and standard beverage orders on its soft opening first week of November. The abundance of discounted indulgences continues after the pre-opening treat. Enjoy Happy Hour times two daily. Start it with the “Late Afternoon-Early Evening” promo. Buy a bucket of five beers or selected cocktails per carafe for only P495 net from 4pm to 8pm. Enjoy “Buy One, Get One Free” deal on house wine by the glass for P250 per order.An exclusive offer of “One for One Drink” awaits patrons during “Late Night Happy Hours” from 10pm to 12:30 am. Choose from eight kinds of cocktails, four kinds of non-alcoholic beverages and local beers or two kinds of wine. Enjoy happy hours promo with a 20% discount on appetizer menu. These special treats will complete your exquisite dining experience or your comforting chill-out moments with family and friends only here at the invigorated Atrium Lounge, your perfect spot for a relaxing ambiance amidst five-star luxury and elegance. 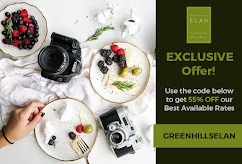 plus P500 credit in all hotel-operated food and beverage outlets. Promo ends on January 15, 2016. Indulge in a sumptuous buffet spread as you welcome Thanksgiving at the Café in the Park on November 26 with a vast array of appetizers, salads, sides, main entrees,succulent slow roasted U.S. Prime beef and satisfying desserts for P1,360 net per person. Have a delectable Japanese fare at the Century Tsukiji with our Winterlicious Hot Pot Specials as their three-month special promotion. Select from Ishikari Nabe at P610+ ,Oden Nabe at P510+, Sapporo Ramen at P410+ and Ebi No Kaki Yaki To Gomanin’Niku Soba at P495+. Take a plunge in a specially-made holiday drink – “New Hope” to match the yuletide season for P300+ per order. Drink is available in all bars. All these special offerings and some more this yuletide season are specially prepared for you at Century Park Hotel. For inquiries, please call Restaurant Reservations at telephone number (02) 528-5907 or email us at information@centurypark.com.ph. It's that time of year again...perhaps many have used this phrase and if I may given time to sort through my blogs, I may have used these words as well. Prattling my way again to your heart as I give out my sentiments for the season when love abounds and is manifested so well with giving. But not just giving, giving with flare. Gifts have been the vital representation of this. Above are words of Khalil Gibran and it couldn't explain gift-giving any better. However, for me giving gifts became more of a task, a daunting one as I may stress out. What used to be a joyous expression of my appreciation for the love and support was getting harder to accomplish. I make it a point that whenever I gift someone for Christmas, my personality, the vain essence of who I am is reflected on the stuff. But adding to that checklist is considering what I haven't given yet (for those I annually give gifts), or would they like my gift. I guess you can tell how paranoid I am. After all, isn't gift-giving an echoing of Jesus Christ's self-less giving of Himself to the world? 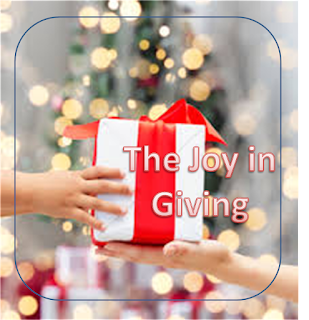 So, giving gifts isn't just some tradition, it's a matter of love and giving of yourself. As a mom, as a family, we practice this and we do come up with list as early as November. 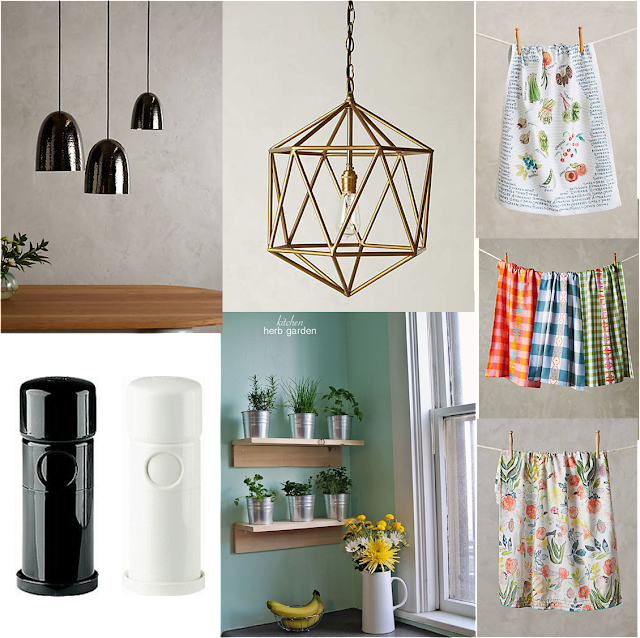 My kids would even post their Christmas wishlist on the door of the fridge. 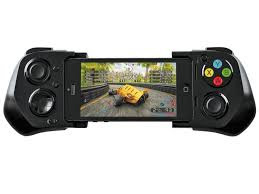 Thus, I have come up with certain wish lists that would definitely make my life easier for Christmas, and taking giving gifts to the next level. I need a lot things in my life right now, so I can truly say I'm comfortably happy and my family too. 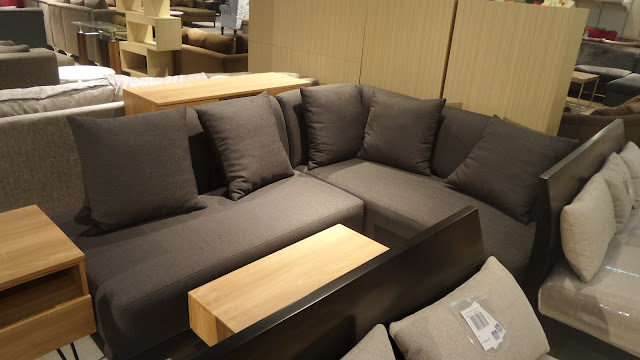 SM Home has these furniture which I definitely would love to have as a gift, or maybe what I can give my parents for their new condo unit. Though, I'm not requiring for all these to be handed to me this Christmas, I'm keeping my heads up, I have a lot of relatives and friends you know...hehehe. Major, major pondering when it comes to giving my kids what they would love to open up on Christmas. Good thing SMSupermalls was able to come up with a DIY list on their site. For my Dana (she's diabetic), who needs to be more active and thinks of joining her school's badminton team. For my Danica, who loves to bake and dreams of opening up her own cafe when she grows up. Selflessness is very much felt when you give but does not expect for anything in return. I would always tell my kids how blessed they are compared to others, who even find it hard to have decent meals and clothing, more so on Christmas. Together as a family, we often save up for my kids' teachers, best-friends and even children in Sunday schools or orphanages. To give back to my kids' teachers, I would often whip up something and box some baked goods I would bake with the help of my daughters. Though this year, I opted to give differently, like Christmas baskets but on a different scale. I may opt to give more of the electric airport to my dealers (we own Water for Less, Purifying Water System) and regular customers but will add a personal note in calligraphy. For the past couple of years, we've been giving coloring booklets and school supplies to our church's children's ministry (Sunday School). This year my husband and I decided to to something even better. We will buy a lot of these cute and hugable red Teddy bears. We not only give one to the children we support in our church, we also give one to a kid under a certain charitable institution supported by SM Cares Program. 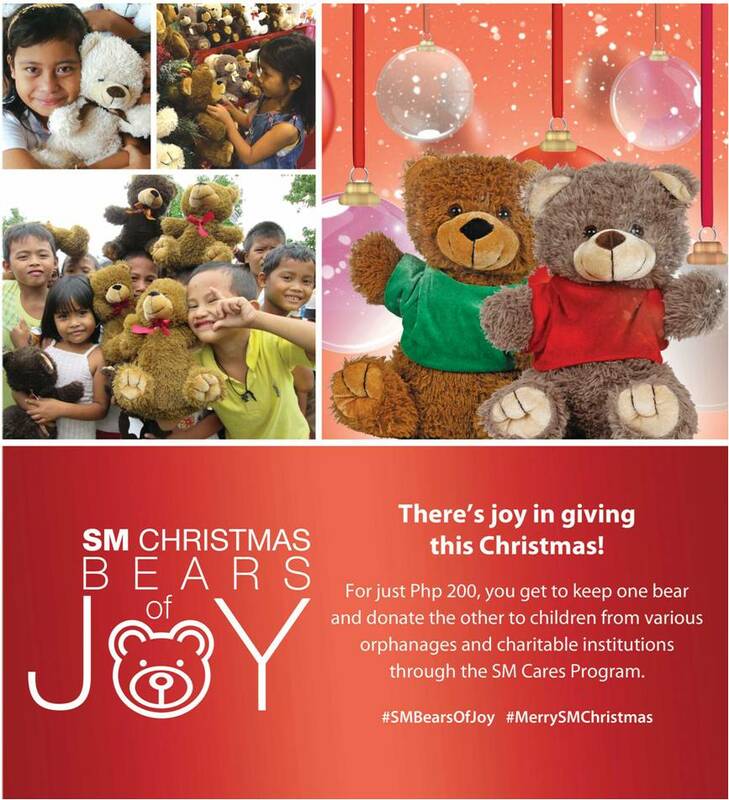 For more info, check out the SM Cares Bears of Joy campaign and know how you can take part in the season of “gift-ing”here. Isn't that a nice tip to giving someone a gift. 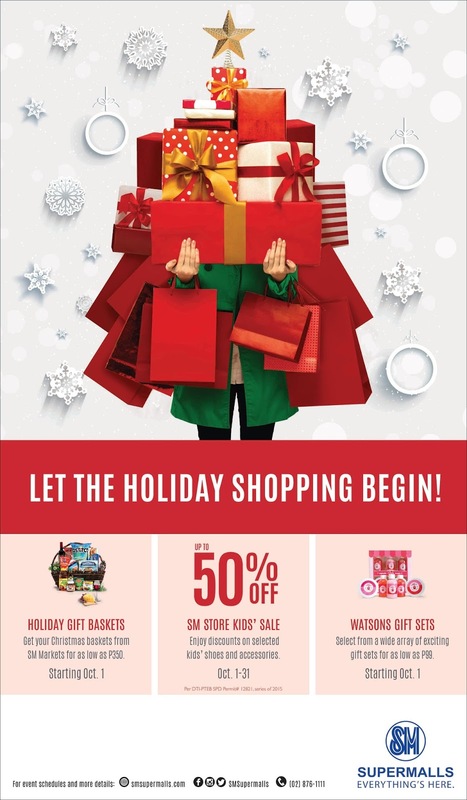 What's more, to show that SM really value Christmas Gift-giving, they have come up with Merry SM Christmas campaign to help us put Christmas shopping for gifts a notch higher.